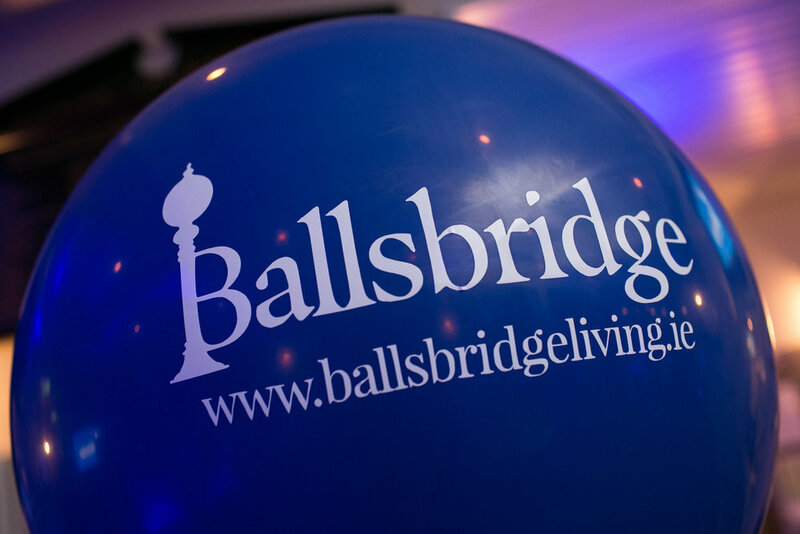 The Ballsbridge Living Initiative launched on November 7th in the Merrion Cricket Club, to the local businesses in Ballsbridge. The launch was a massive success, showcasing the work by the team behind the initiative, that has been months in the making. This launch was specifically for the local businesses to unveil the up-coming plans for Ballsbridge Living. Lead by Patrick Byrne, the sole purpose of the initiative is to promote Ballsbridge as a community, where we will highlight the area as the premier destination to live, visit, work, socialise and stay, by focusing on the major commercial, leisure, local businesses and residential aspects. There was representation from every aspect of local businesses in the community, ranging from beauty to hospitality and the property industry. Patrick Byrne - the initiative lead, addressed the attendees “Our focus is to generate a greater interest in the area, thus increasing revenues for all businesses in Ballsbridge. This will in turn provide many benefits to those taking a Ballsbridge address, with an endless list of great amenities and transport in the area”. Patrick Byrne has been a community pharmacist in Ballsbridge since 1991 and is the owner/manager of Life Pharmacy Ballsbridge. As Chairman of the Anglesea Road Residents Association he has lobbied tirelessly to bring about the Dodder Flood relief works, which are now nearing completion. Patrick is passionate about the redevelopment of Ballsbridge for the benefit of all its residents, office workers and the local business community. The Ballsbridge Living initiative has been created with the purpose to benefit the area and we want you to become part of this exciting campaign! We want to hear from you for any ideas you may have as well as keeping you informed with all the latest news and events we have coming up. Get involved today so you don’t miss out!